Our visitors' room is accessible, though because of the limitations of our building we recommend that disabled visitors in wheelchairs are accompanied. Ealing Samaritans is located in a suburb of West London at 26 Junction Road, Ealing W5 4XL on the corner of Junction Road and Lawrence Roads. It is a nine-minute walk from both Northfields and South Ealing underground stations on the Piccadilly Line. It is served by the E2, E3 and 65 bus routes. There is some on-street parking in the surrounding streets, though please note that this is permit holder only Monday-Friday between the hours of 10-11am and 3-4pm. 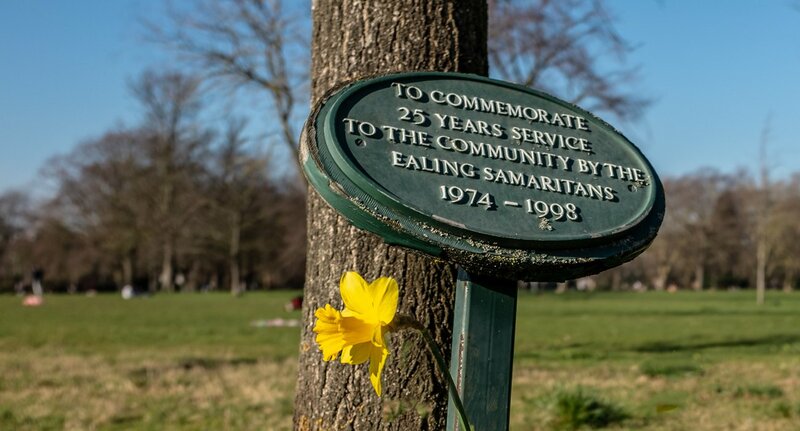 Ever since 20 January 1972, Ealing Samaritans volunteers have provided confidential emotional support to the West London community and beyond. As well as our telephone, email and face-to-face drop-in services we engage in a significant amount of outreach activity and operate the Listener scheme at Wormwood Scrubs prison. Visitors to the branch are welcome. You don’t need an appointment to speak in confidence to one of our trained volunteers and the service is free. Our opening times are varied so please check these to avoid disappointment. All Samaritans branches are individual charities run entirely by volunteers and Ealing Samaritans (registered charity number 1173588) is only able to continue to support those in despair and distress thanks to donations, legacies and fundraising for our charity. If you'd like to support our branch you can donate directly to our bank account or throughJust Giving or theAmazon Smile Foundation. Our charity is run entirely by volunteers. If you are interested in finding out about volunteering with Ealing Samaritans you can join us for one of our regular information events. By attending one of these there is no obligation to take things further. Ealing Broadway the Brew Way! Samaritans Ealing Branch, a charity registered in England (1173588). Samaritans Ealing Branch is a recognised branch of Samaritans.